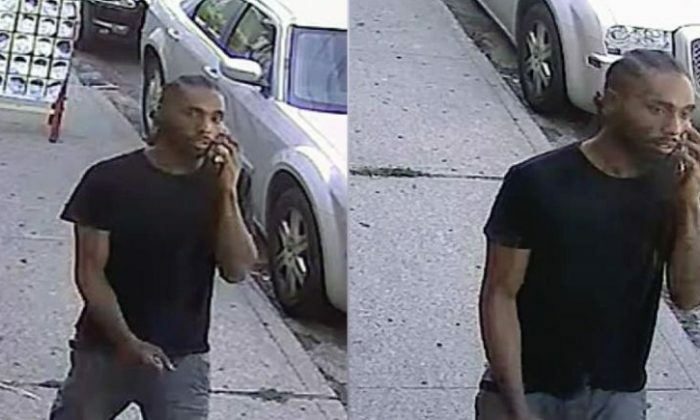 Update: The suspect was arrested by police on Thursday and was identified as 27-year-old Divon Cochrane, the New York Daily News reported. Police released a video Thursday of a man creeping behind a New York City on-duty traffic agent before knocking him to the ground. The suspect can be seen talking on his phone while walking down the street in Staten Island. Then he notices the agent and approaches the 50-year-old from behind, according to The New York Post. The incident unfolded on Heberton St. and Post Ave. in Port Richmond at around 3 p.m. Wednesday. The suspect then hits him in the neck, the Post said. The agent fell to the ground and was knocked out, police said. The unnamed agent was then taken to Staten Island University Hospital North and was treated. Officials said the suspect is believed to be in his 20s and was seen wearing a black T-shirt and gray pants.